A construction worker in Crown Heights was nearly buried alive when the basement hole he was digging unexpectedly caved in. The concrete and dirt he had excavated collapsed on top of him, leaving him trapped underneath the rubble. Paramedics found him conscious but injured, and took him to Kings County Hospital for treatment. Unpredictable construction accidents like this one are common in New York and other cities across the country. However, according to construction safety experts, many accidents are preventable if workers and equipment operators conscientiously follow appropriate safety measures. Special care should be taken when workers are getting on and off equipment, such as a forklift or trucks. Often, workers slip or fall when they don’t use high-grip gloves or boots with good soles, or when they don’t hang onto foot and hand holds. In fact, this type of accident is actually ranked as the most frequent cause of injury for equipment operators. Other accidents happen while moving or unloading equipment on unstable ramps or when a load shifts because it wasn’t properly secured. Backing up a vehicle without first ensuring that the area is free of workers presents another danger. Workers likewise may get injured when they overcrowd work areas, or stand too close to a hazard like an open hole or large machinery. Another common type of accident occurs when people impinge on the swing radius of machine, or when spotters do not clear an area. Marking obstructions, such as underground utilities and power lines, also helps workers steer clear of hazards and potential injuries. 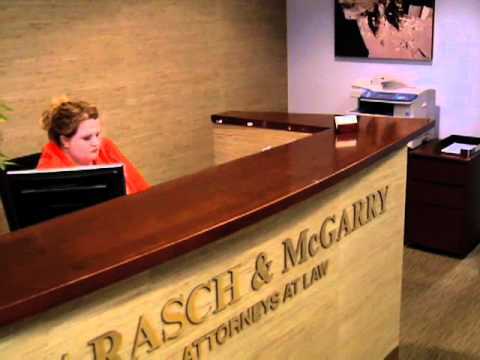 If you or someone close to you has been injured in a workplace accident, meet with an experienced New York City lawyer at Barasch & McGarry.